Install these bulbs in your own C7 (E12 base) cord or shop for new cord here. Neighbors will be jealous when they see these red C7 twinkle bulbs. Valentine's Day dances and Christmas parties will have a new level of sparkle. Add a little random animation to your light display. 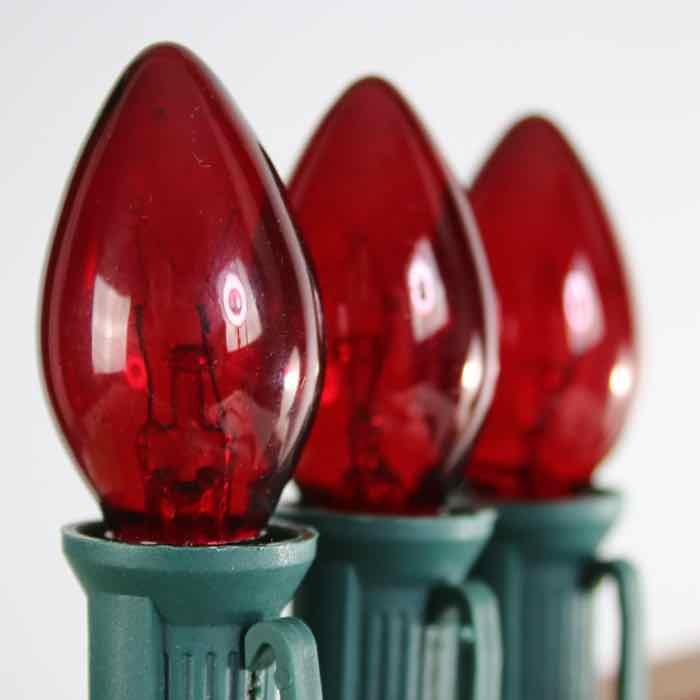 Be sure to purchase the Christmas light clips, hooks, and stakes used by professionals across the country for sharp lines and easy installation. 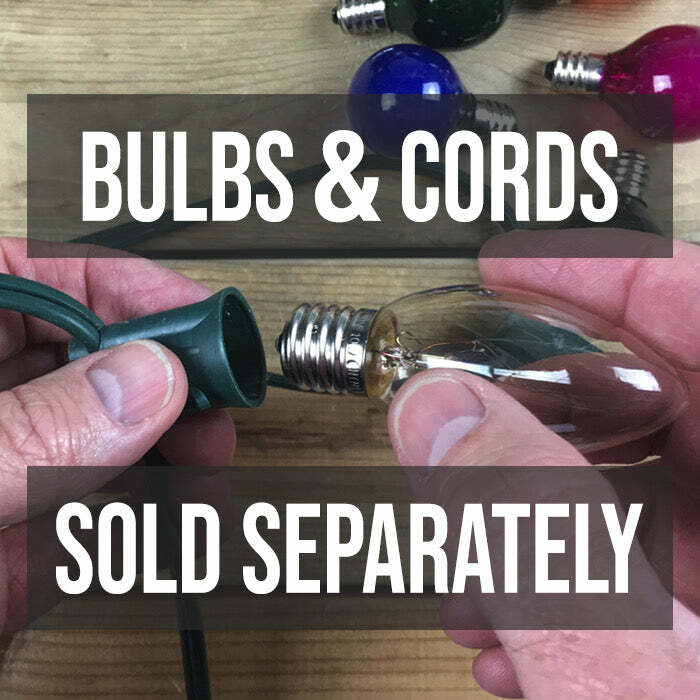 Install these bulbs in your existing C7 cords with E12 (candelabra) bases or choose new cords from our wide variety of lengths, colors and spacing. Tailor your spacing selection and length based on the size of your project. A C7 socket is the same size as a standard night light if you need to test out the size of your existing cords before placing an order. Be sure to inspect your cords every season and discard them if you see signs of wear and fraying. Q: Can I get mixed set of C7 twinkle bulbs? 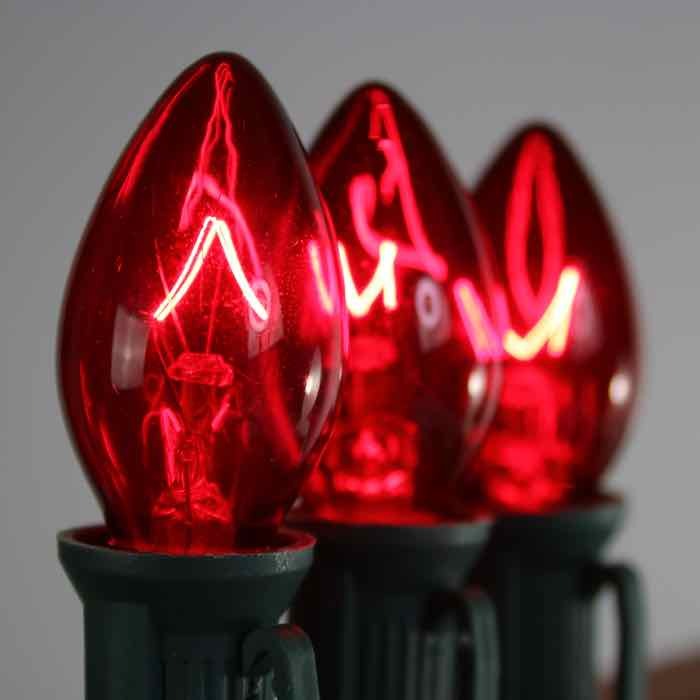 I want to put together a single string of lights, 25 or 50 feet, with a mix of all colors. The minimum of 25 bulbs per one color doesn't work for me. A: I'm sorry but we don't have the ability to mix cartons of lights at this time. We do have the twinkle bulbs in a multi pack - perhaps that could work?